PINEHURST, N.C. – For all the interest in the men and women playing Pinehurst No. 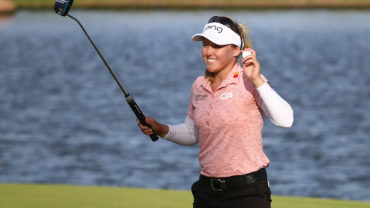 2 in consecutive weeks, Michelle Wie and Lexi Thompson made the U.S. Women’s Open more closely resemble the first LPGA Tour major of the year. Wie held it together with two key par putts and finished with back-to-back birdies for a 2-under 68. Thompson powered her way out of the sand and weeds and ran off three straight birdies to match Wie for the lowest score Friday. They were the only players still under par going into the weekend, perhaps setting up a rematch from the first major of the year. 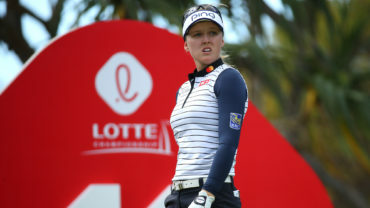 Thompson soundly beat Wie in the final round at the Kraft Nabisco Championship. For now, Wie had control. The 24-year-old from Hawaii twice thought her shots were going off the turtleback greens, and twice she relied on her table-top putting stance to make long par saves. 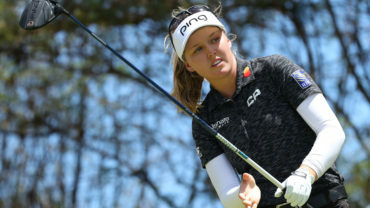 She finished with a 6-iron that set up a 12-foot birdie putt, and a 15-foot birdie on the par-5 ninth to reach 4-under 136. Just when it looked as if this had the trappings of another runaway – Martin Kaymer led by at least four shots over the final 48 holes to win the U.S. Open – along came Thompson with a shot reminiscent of what Kaymer did last week. From the sand and bushes left of the fairway on the par-5 fifth hole, Thompson blasted a 5-iron from 195 yards just off the green, setting up two putts for birdie from about 60 feet. Kaymer was in roughly the same spot in the third round when he hit 7-iron from 202 yards to 5 feet, that pin position more toward the front. That was her third straight birdie, and she closed with four pars to reach 139. Pinehurst No. 2 wasn’t in much of a giving mood on another warm day in the North Carolina sandhills, with a brief shower in the middle of the afternoon that didn’t do much to soften a dry, crusty golf course. Stacy Lewis, the No. 1 player in women’s golf who opened with a bogey-free 67, picked up a bogey on her first hole in a wild round of six bogeys, three birdies and a tough 73. A two-time major champion, she saw the big picture. “I hung around, and that’s what you’ve got to do at this tournament,” said Lewis, at even-par with Amy Yang (69) and Minjee Lee, the 18-year-old amateur from Australia who played bogey-free on the back nine to salvage a 71. Lucy Li, the precocious 11-year-old and youngest qualifier in the history of the U.S. Women’s Open, isn’t leaving town until Monday. She just won’t be playing any more golf. The sixth-grader from the Bay Area started with a double bogey for the second straight day and shot another 78 to miss the cut. 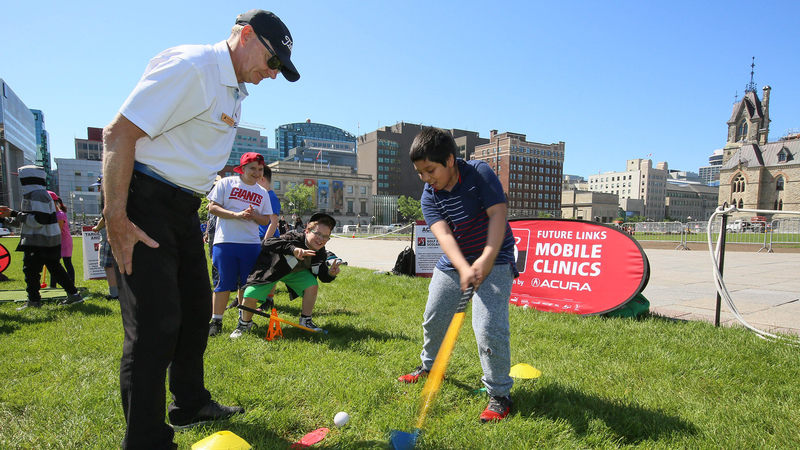 Well inside that cut line were Canada’s Sue Kim and 16-year-old amateur Brooke Henderson – both members of Team Canada. The pair are 4-over and tied for 14th heading into moving day. The three other Canadians in the field – Jessica Wallace (+12, 144); Rebecca Lee-Bentham (+15, 155); and amateur Elizabeth Tong (+16, 156) did not slip by the cut at 9-over 149. No one was conceding anything to Wie or Thompson. What last week showed was a Pinehurst No. 2 that played about the same all four days, instead of some U.S. Opens where scores are thrown in reverse on the weekend. There’s still plenty of time for players to chip away at par, and equal opportunity to lose even more ground. Na Yeon Choi had a 70 and was at 1-over 141, followed by a Paula Creamer (72) at 2-over 142. The group at 143 included Webb and So Yeon Ryu, who saved her hopes with three straight birdies on the front nine, and narrowly missing a fourth. All of them are former Women’s Open champions. This is a different Wie they are chasing. She is in contention on the weekend in her second straight major. The last time that happened was when she was 16 and had a chance in three of them. 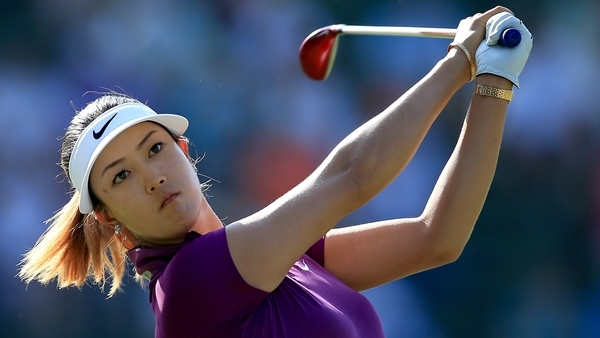 Wie already has won this year in Hawaii, and she has eight top 10s and is No. 2 on the LPGA money list. Attribute that to a putting stroke that she owns, no matter how peculiar it looks with her back bent severely, almost parallel to the ground. And she has learned to play the shot – she has a full allotment – instead of worrying about her score or her position on the leaderboard.